Mike is an avid Packer fan. He grew up in Platteville, but left to go to school and work in Madison. After ten years, he returned home. Mike is married to Tonia who works for Sedgwick CMS in Dubuque, Iowa. They have two children, Spencer and Sadie. Mike frequently teaches at the UW-Law School in the General Practice Course either during its "Skills" week or the "Business Law" section. Mike is active in his community and is a current President of the Platteville Optimists. Mike is also the Chair of the Police and Fire Commission and sits on the board of both the Chamber of Commerce and Building Platteville. 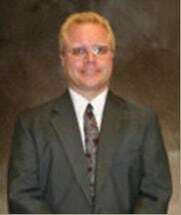 He also is general counsel for several non-profit community corporations in and around Platteville. Mike is an active member of his church and currently sits on its Board of Trustees.